In Portugal, ever since Mário Soares decided to publish annually his most relevant public interventions as a book, presidents have followed this practice. Soares published ten volumes of Intervenções (Interventions), Jorge Sampaio followed with Portugueses, and Cavaco Silva edited Roteiros(Roadmaps). These are collections of speeches in public occasions, with sometimes an interview or some other journalistic piece, and constitute a fundamental basis to analyse the terms in office of each president. Of course, Cavaco Silva insists that his exercise of accountability towards the Portuguese is limited by the “secrecy imposed by the safeguard of the highest national interests”, and thus one cannot expect to have full disclosure of every episode that hit the news. However, Cavaco Silva is quite generous in opening up the drawers of his memory. Many references in the press to the facts disclosed in these volumes refer to la petite histoire, episodes that are controversial and still stir the popular imagination and feed gossiping, but on the whole are perhaps not the most interesting way to address the issue of presidential powers and how they were exercised by one particular individual. The background to the volumes covering the presidency is given by the ten years in which Cavaco Silva was prime minister, which formatted most of his understanding of both presidential and governmental powers. As he says, implicitly criticizing the president with whom he worked as prime minister (Mário Soares), “my time as prime minister was one of fruitful learning about what a president of the Republic should not do”. Perhaps the most evident sign of a particular reading of presidential powers is referred in the second volume of his Autobiografia Politicawhen he recalls having said this: “To those who spend their time in political manoeuvring and creating obstacles to the government, we say: let us work”. Together with his repeated references to the “forces of blockade”, these words were widely read as a reassessment of the government’s independence from all other organs of sovereignty, be they the Constitutional Court (which had raised several objections to his policies) or – above all – the president of the Republic. It was thus expectable that Cavaco Silva as president would not venture in terrains he had so bitterly criticized while serving as prime minister, and adopt a low profile as president. This was though a difficult task to perform. The title of his presidential memoirs include the expression “and other days”, which refer to the scope of presidential initiatives that do not depend on the relation with the prime minister. In the first of these volumes, the “other days” are present in a section he entitled “To Believe in the Portuguese”. He justifies this section by stating: “I defined as one of the goals of my presidency to give voice to good examples” in areas as disparate as science and education, culture and historical heritage, economy and information technologies, Portuguese communities abroad and youth, social inclusion and social institutions, the sea and fisheries, etc. This is not a small realm of intervention. Claiming he always “wanted to be part of the solution and not the problem” (and I would add, active part), he summoned members of government to accompany him and expressed publicly his views on the issues that surfaced in those initiatives. Presidential initiatives do have high media coverage, and this is a form of setting the political agenda inaugurated (against an angry Cavaco Silva) by Mário Soares with his “open presidencies” and to offer presidents ample room to intervene in the process of decision making. In the end of the day “all my initiatives were very welcome by the population, by the institutions and by all those who were involved in them”. Popularity is thus a critical element to gauge the effectiveness of presidential initiatives. In the second volume, the “other days” are mostly dedicated to the “projection of the interests of Portugal in the world”, assuming those to be framed by the concept of “presidential diplomacy” – an equivocal concept that does not derive from the constitutional powers of the president which, in matters of foreign affairs, are reasonably contained (CRP section 135). However, Cavaco Silva considered this to be one of the areas in which his voice could be heard, and independent initiatives taken, so much so that “during my terms in office a reinforcement was felt of the role of the president of the Republic in the realm of foreign affairs”. One of the reasons for this resides in the fact that, as Supreme Commander of the Armed Forces, the president was involved in the deployment of Portuguese soldiers in several UN or NATO sponsored missions throughout the world. It is certainly an aspect that gained roots and is not openly challenged by any major political actor, and which evokes the French case of presidents assuming prominent roles in foreign relations and defence policies. It is interesting to note that at various points in his books, Cavaco Silva mentions several formal direct meetings with the ministers of foreign affairs and defence, whereas in the case of most other ministers his relations were mediated by the prime minister. The two volumes combined cover Cavaco Silva’s two mandates and refer to four different governments. When he took office in March 2006, the country had a majority socialist government headed by José Socrates. As is usual in Portugal, the prime minister did not tender his resignation nor did he put his job at the president’s disposal. The understanding is that the parliamentary responsibility of the government was assured, and thus the new president had to live with the existing government – or be determined to take action. It is useful to recall that Cavaco Silva had been the leader of PSD, and when that memory was still fresh he had lost the 1996 presidential election; seeking the presidency in 2006 was based on the affirmation of a clear distance between the candidate and the right of centre parties that supported him, assuming the traditional role of the president as an “independent” figure that should not guide his action by party motivation. Not surprising, Cavaco Silva promised during the campaign he would offer any government “strategic cooperation”. The narrative of the period 2006-2009 is one of a deteriorating relation with the prime minister, which started on a high note and ended in one of the most sour episodes just before the legislative elections of that year (what he recalls as “the political intrigues of the summer of 2009”). Maybe the highest point of conflict was around a government proposal to change the statute of the Autonomous Region of Azores (unanimously approved in the regional parliament) which Cavaco Silva felt as an attempt to reduce his constitutional powers, which was a theme for discussion for about eight months before Caavaco Silva felt compelled to address the nation. The action of the president, however, was much broader, and included initiatives to reformulate the project for a new airport in Lisboa, a discussion of the high-speed train project, or the decision to recognize the independence of Kosovo (this one was present in sixteen of the weekly meetings with the prime minister), to quote just a few with heavy consequences. In most instances, the president managed to negotiate with the government the final outcome of public policies. Cavaco Silva does not shy away from criticizing by name some ministers, either because one had “little common sense” or another was prone “to speak out too much” – but in no circumstance did he go beyond asking the prime minister “to take adequate action”. If the suggestion was obvious that he would have welcome a change of minister, he stopped short of declaring he had lost political confidence or that the issue threatened the survival of the government. Elections were held during his first term, and the socialist party won again, although it lost the absolute majority – a situation that, in principle, enlarges the scope of presidential intervention. A minority government was formed that had the difficult task to respond to the crisis that erupted in 2008 and was fast approaching Portugal. The distance and acrimony between Cavaco Silva and José Socrates was now public and evident. In the fall of 2010, when the budget was being prepared, Cavaco Silva realized “the prime minister has been lying to me about the deficit for this year”. The hypothesis of a political crisis was on the table. Still, he decided to use his goodwill to help negotiate a new budget that could be supported both by the minority socialist government and the PSD, the largest opposition party. He suggested one of his closest friends and sometime minister for finance to broker the deal. The deal was made under the auspices of the president. The second term began with a very critical speech, which had a direct impact on the fall of the minority government a few weeks later. Fresh elections were called, as no solution was viable within the existing parliament. The right wing parties PSD and CDS obtained a majority and formed a post-electoral coalition. An old dream of PSD founder Francisco Sá Carneiro – “a majority, a government, a president” – was now possible (despite continuous claims that the president was “above the party fray”). Eventually, this became a nightmare for Cavaco Silva: for all major purposes, the leader of the majority was the prime minister, not the president. Cavaco as a university professor of public finance had his own views and claimed “I do not harbour doubts and I seldom make a mistake”; the prime minister, who had never had any job in government, and who had a poor formation on economics and finance matters, had to carve a balanced relation in which the weight of government far out weighted that of the president. In some instances, Cavaco Silva came to the rescue of government, as in the case of the huge popular demonstrations against one specific fiscal policy in September 2012, prompting a change of course. Some others, he criticized the government, as in the New Year speech of 2013 in which he raised fears of a “vicious circle of depression” – although he could not elicit any change of policy from the government. Even if many legislative pieces raised issues of constitutional conformity, Cavaco Silva most often decided to sign the bills and ask for the opinion of the Constitutional Court afterwards, thus facilitating the government’s policy, even with the cost of his own reputation (he stepped out of office in March 2016 with the lowest ever popularity rate: -13%, whereas the normal popularity rate for presidents is in excess of 50%). The final episode of Cavaco Silva’s term in office took place after the legislative elections of October 2015. The right wing coalition won the election with a plurality of the vote; but the left parties soon declared they would oppose their continuation in office. Cavaco Silva disregarded the composition of parliament and installed the former prime minister again in his post, having decided to address the nation on the media to justify his option. However, parliamentary investiture is needed. It can come out of a vote of confidence presented by the government, or by a motion rejecting the government’s program tabled by the opposition. The rejection motion was approved by a large majority, and Passos Coelho’s executive fell. The president could not, in constitutional terms, dissolve the parliament and call fresh elections due to a double principle: presidents cannot dissolve parliaments in the last six months of their term in office, and parliaments cannot be dissolved in the first six months after an election. Cavaco would have three choices: to keep Passos Coelho as a caretaker government, with limited capacities, namely unable to propose a new budget, until the six months had elapsed and his successor could call fresh elections; to try what had been used back in the 1970’s – a government of independents regarded as “government of presidential initiative” – which raised constitutional doubts but not an outright impossibility, as recent examples in Greece and Italy suggest; or to appoint the leader of the largest left wing party, the socialist Antonio Costa, to form his government. He chose the latter solution, after lengthy consultations with several actors of the political arena and civil society, although he considered “It is difficult to believe that one government that depends on political forces that are against the EU, NATO and multilateralism in international trade can become a coherent, credible, stable, and efficient government”. For this reason, Cavaco Silva sent a memo to the socialist leader asking for “the clarification of several questions” and for “guarantees as to the stability, credibility and long-term perspectives” of the proposed new government (i.e., written documents signed by all parties involved in the new majority). When he finally accepted to swear in António Costa, he made a very critical speech in which he set boundaries to the policies the government was allowed to pursue, suggesting the government would be subject to constant presidential monitoring not so much in its institutional capacity, but truly in a sense that comprised political choices. The question that remains after this episode in which the president is vehemently opposed to the political solution he had to empower, is this: would Cavaco Silva have behaved differently if he was not in the final six months of his term with his powers limited? Would he have behaved differently in there was not a question of the need of a new budget? Would he have behaved differently if he was in his first term with aspirations to be re-elected? All those circumstances must have weighted in the very peculiar situation in which presidents have their powers curtailed. If in full capacity, what would have been the outcome? It must be borne in mind that this example shows that disposing of a parliamentary majority is a facilitating condition for a government to emerge – and then to subsist – but its emergence must pass through a presidential decision – and the president may decide to try his luck if he dislikes the parliamentary majority. Cavaco Silva’s memoirs tell us a dramatic story which shows that there is room for interpretation of the presidential powers regarding the formation of a new government. A few other comments can now be made. Some authors have referred to the existence of “weak powers” of the president, including under this heading the competence to appoint several public officers under governmental proposals. Cavaco Silva’s memoirs are very illuminating in this particular, as he had to deal with two appointments to the post of Prosecutor General and several top military ones. What emerges from his writings is a that a “methodology” exists – which was certainly present in other similar instances – by virtue of which the president and the prime minister agree to exchange views prior to a formal governmental initiative (that is, before the constitutional prescriptions come into being), which in most cases consists of a proposal of up to three names from which the president can choose (or indeed reject). 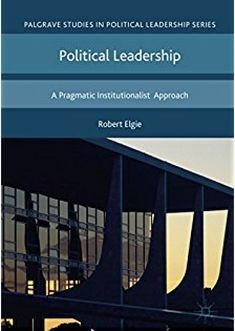 His descriptions of the processes leading up to the appointment of two Prosecutors General under different prime ministers shows that the principle is established and warrants presidents more than ceremonial roles, disposing of substantive capacity to influence the choice of top civil servants. The conclusion that emerges from these pages is certainly not one of “weak power”. The last comment refers to the very last chapter of the second volume in which Cavaco Silva reflects on presidential powers. Arguing that he finds the constitutional powers to be well balanced with the fact that presidents are elected by universal suffrage, he nevertheless ventures to suggest six points that parliamentarians might take in consideration in future revisions of the constitution. Most of those points reinforce slightly the competences of the president without disturbing the overall distribution of powers, as would be the case if the president was given the power to appoint some members of the Constitutional Court or to enlarge the time limit for presidents to send legislation to that court in order to establish its conformity with the constitution, or even the power to appoint the governor of the Bank of Portugal upon a governmental proposal, and following a period of parliamentary vetting . One of Cavaco Silva’s suggestions, however, would significantly enhance presidential powers: he proposes that every legal diploma vetoed by the president should require a 2/3 majority in parliament to be overturned – a situation that occurs in a limited number of cases, and would, if extended, enlarge presidential powers and create a severe limitation to any parliamentary majority. A final word on what appears to be a paradox. Cavaco Silva states time and again that presidential powers are adequate. On the other hand, he rejects any personal responsibility in the deterioration of the financial situation that took place after the onset of the global crisis of 2008-2009. Commenting on his very aggressive speech against the government in the inauguration of his second term (2011), he claims: “It was indeed a very incisive speech, growing out of my knowledge that the economic, social and financial situation of the country was very serious, and that there were errors in the economic policy of the government, which prime minister José Socrates resisted to change, despite my multiple warnings, both on the meetings that took place on Thursdays, and through the alerts I issued in several public interventions”. How can one be content with an array of competences that does not prevent the development and deepening of a very serious crisis in the country? Or is it the case that Cavaco Silva did not use all the presidential competences to guarantee the regular functioning of institutions beyond a mere formal analysis? Was he a prisoner of a parliamentarian understanding of the distribution of powers that the Portuguese Constitution attributes to the main political actors, neglecting the array of competences he had at his disposal? In the end, he contributed to bring down the minority government of Jose Socrates in 2011 not by taking any decisive action, but merely by speaking out his criticism that was welcome by all opposition parties which filed a non-confidence motion in parliament. The president watched this move in the comfort of Palácio de Belém,not intervening through a dissolution of parliament, the dismissal of the prime minister, nor even by sending a formal message to the parliament . He simply used his public word – alas, quite a bit late. This entry was posted in Europe, Portugal, Presidential Profile and tagged Portugal, Presidential powers on December 3, 2018 by Rui Feijo. Kazakhstan – A New Move Towards Succession? Succession in power is the Achilles heel of non-monarchic authoritarian regimes. Since their leaders are not elected through open electoral competition, the incumbent will most probably either die in office or be removed violently. Hence, authoritarian leaders must juggle coping with potential competitors, coopting them into their power pyramid or containing them otherwise, while selecting and preparing an heir. Some of the more competitive regimes in the post-Soviet region, such as Georgia (“Rose Revolution” 2003) and Ukraine (“Orange Revolution” 2004), have been hit hard by the inability of “lame duck”-presidents to pave the way for successors enjoying elite consensus and mass support. By contrast, the two most repressive regimes, Turkmenistan and Uzbekistan, survived the unexpected death of their former leaders in 2006 and 2016, respectively, without the breakdown, clan wars and chaos some pundits had feared. Instead, new presidents Berdymukhammedov and Mirziyoyev, formerly having only been persons of trust but not designated successors to their deceased predecessors, both managed to renegotiate the commitment of influential elite networks. During the first one or two years, they consolidated power by removing potential rivals and winning elections by the same margins as their precursors. On the one hand, Kazakhstan is in a similar situation as were these two countries when succession was looming. Nazarbayev sits firmly in power. The political regime is centered on him. Speculation about succession has been rampant for years, but there is no obvious heir, even if rumors circulate about his daughter Dariga or his son-in-law Timur Kulibayev and others. On the other hand, there are significant differences compared to Turkmenistan and Uzbekistan, especially regarding the structure of the elites. Thanks to a more developed economy, in Kazakhstan there are more numerous groups of vested interests having much to win or to lose when policies or politicians change. Nazarbayev is a master at balancing these elite networks. One of his visible reactions to their hidden competition is a policy of frequent personnel rotation. While some members of the political elite fall out of the president’s favor, most are simply appointed to other positions just to return after a couple of years being awarded for loyalty and devotion. Observers, stressing the high risk of political instability due to intra-elite quarrels, see these personnel reshufflings as a means to create the conditions for a smooth power succession within the extended Nazarbayev family. The President himself has addressed the question on several occasions. In 2013, during an interview for a national TV channel, he declared that “one who initiates reforms always faces risks,” and “therefore (…) always thinks of what might follow later on.” He suggested creating “a sustainable system” that would not be shaken by a new leader’s arrival, citing Singapore and Malaysia as role models. In a 2016 interview, he revealed plans to retire by 2020 without handing over power to his children. In fact, in addition to a “cadre policy” that is hard to decipher from the outside, Nazarbayev also tinkers with the institutional foundations of his regime. He seems to carry out piecemeal constitutional reforms aiming at a smooth transition of power that ensures regime continuity. During the first two decades of post-communist Kazakhstan, Nazarbayev invested in the postponing of any succession problem to the farthest possible future. Initially, he had faced a restriction to two five-year consecutive terms in office as most of his post-Soviet fellows did. However, in 1995, he orchestrated a referendum, which substituted re-election with an ad hoc prolongation of his tenure. Gradually, Nazarbayev’s enduring overstay in power became institutionalized. In 2000, the Constitutional Court ruled that his 1999 re-election effectively started his presidency anew, since the first post-Soviet Constitution, adopted in 1993, had been replaced in 1995. Finally, a 2007 Constitutional Law exempted the First President-Leader of the Nation from any term constraints at all, paying tribute to his merit for Kazakhstani state- and nation-building. A 2011 constitutional reform added the competency to declare preterm elections to the office at will. As a result, Nazarbayev became entitled to run for the presidency as long as he wishes to, but also to retire at any convenient point in time. Recently, signs have multiplied that the “operation successor” is about to be set in motion. First, constitutional amendments in 2017 redistributed some powers to the Majilis, the Kazakhstani parliament, and strengthened the role of political parties, at least on paper. Still, even if pitched as an important measure to further democracy, these amendments did not abolish presidential supremacy, the cornerstone of the political system. However, the reform might narrow the formal scope of action for a future office-holder of less political weight than Nazarbayev. For example, the president became obliged to interact with the parliamentary parties when the cabinet is to be formed or the assembly to be dissolved. In the same vein, the upgrading of the Majilis as well as that of political parties could be seen as an attempt to enhance the attractiveness of these arenas for elite cooptation. Possibly, it allows for some degree of interest group pluralism, thereby channeling competition over power on the eve of and during transition. Second, in June 2017, amendments to the Law on Elections were introduced. Most notably, they demand that any would-be candidate to the presidency prove having no less than five years of work experience in public service or as an elected politician. Apparently, this rules out any regime outsiders from the competition, if there will be any at all. The third dimension of law-making addresses Nazarbayev’s position after a possible retirement. In addition to lifelong legal immunity, the 2010 revision of the Constitutional law on the Presidency assigned the First President-Leader of the Nation the eternal right to submit “initiatives on major issues of state construction, domestic and foreign policy and national security” for mandatory review by the power branches. Also, he got entitled to personally address parliament, government and other bodies for “important issues.” Reciprocally, these bodies will be obliged to coordinate their activities “in key areas of domestic and foreign policies” with pensioner Nazarbayev. The most recent move of “operation successor” is currently under parliamentary consideration. It consists of a draft Law on the National Security Council. Founded by presidential decree in 1991, the Council has been reformed since 2006 as many as seven times without gaining major attention or importance. However, in early 2018, Nazarbayev proposed to transform it from a presidential consultative council into a constitutional body, consisting of the President, the Prime Minister, the Chief of the Presidential Administration, the Speakers of both Chambers of the Parliament, leaders of the law enforcement system and several ministers. Most importantly, Nazarbayev himself shall be appointed Chairman of the Council. He will be entitled to give instructions to all members of the body, including the elected president-to-come. Thus, the First President will have the “final say” on all major political issues, no matter who serves under his guidance. Consequently, Nazarbayev’s future position has already been compared with that of Iran’s Ayatollah Khamenei. Obviously, the new Law is meant to be an important building block within the imagined Kazakhstani “sustainable system.” It will create an institutional tool for implementing the somewhat lofty prerogatives of the First President enshrined in the 2010 Law on the Presidency. If that plan works out, Nazarbayev could retire from his post as president in the not-so-far future, proclaim early elections, back a candidate for succession, and then groom him or her until the end of his days. With his death, Kazakhstan would return to “normal” presidentialism, since Nazarbayev’s super-presidency is a constitutional position tailored exclusively to him. If adopted and executed, this institutional reform may perhaps secure Nazarbayev’s lifelong dominance over politics in Kazakhstan and help to introduce a successor who will learn to run the country under the First President’s supervision. However, it is questionable whether the new Council can effectively secure the survival of the regime: should a crisis emerge, Nazarbayev could be tempted to turn the Council into a kind of junta if he is still strong and popular enough by then. Even if this were not to happen, the new incumbent could face a “real” succession crisis and “clan war” the moment the First President will eventually be gone for good. Thus, the new design of the Council would probably help to solve Nazarbayev’s individual problem, i.e., how to retire without giving up power. It might also allow gaining time to accustom the elites to a new leader. However, whether this will guarantee regime continuity depends on whether the new president can generate credibility under the restricted conditions of “supervised learning,” being simultaneously forced to remain completely loyal to Nazarbayev while striving for building a genuine power base. This entry was posted in Central Asia, Kazakhstan, Presidential Profile and tagged legislation, Succession on February 12, 2018 by Petra Stykow. When Tarja Halonen (born 1943) was elected as the first female president of Finland in 2000, many interpreted that as the culmination of gender equality in Finland. Yet more critical voices pointed out that her election coincided with the entry into force of the new constitution that radically reduced presidential powers in favour of a more parliamentary regime. Indeed, to this day Finland has only had two female prime ministers for a combined spell of around one year (Anneli Jäätteenmäki in 2003 and Mari Kiviniemi in 2010-2011). Halonen was re-elected in 2006 and served thus as the president for two full six-year terms. Large section of the electorate considered the social democratic Halonen as too ’red’ – which is also the color of her hair. Indeed, Halonen, who was a highly active speaker during her presidency, consistently focused on themes close to her heart – gender equality, the plight of women in developing countries, especially their right to education, democracy and the health of civil society, the United Nations, and human rights in general. These were themes that clearly resonated with particularly younger female voters – many of whom had in other elections voted for centre-right parties – and also reflected the gradually changing cleavage structure in Finnish politics. While the Finnish president co-leads foreign policy with the government, Halonen thus also had a personal, more ‘globalist’ agenda, but whether that had any impact on the preferences or knowledge of Finnish citizens is difficult to measure. These interests reflect her professional and political background. With a degree in law, Halonen worked from 1970 onwards as a lawyer for the main blue-collar confederation, the Central Organization of Finnish Trade Unions. She joined the Social Democrats in the early 1970s and was first elected to the Eduskunta, the unicameral national legislature, in 1979. She served as an MP until her election as the president in 2000. Halonen also held three ministerial portfolios: as social and health minister from 1987 to 1990, as justice minister from 1990 to 1991 and as foreign minister from 1995 to 2000. Within the Social Democratic party Halonen was estimated to belong to the more leftist wing of the parliamentary group. Internationally, Halonen is probably best known for her work in the United Nations, an organization she clearly cares about very much. From 2002 to 2004 Halonen served as co-chair of World Commission on the Social Dimension of Globalization, appointed by International Labour Organization ILO. From 2009 to 2014 she in turn was the Chair of the Council of Women World Leaders. In 2010 Halonen was appointed co-chair of the UN Secretary-General’s High-level Panel on Global Sustainability and she is currently the co-chair of the High Level Task Force for International Conference on Population and Development. In the 1990s she was also active in the Council of Europe, first as Deputy-Chair of the Finnish delegation to the Parliamentary Assembly from 1991 to 1995 and later in the Ministerial Committee. In 2012 the TH Global Sustainability Foundation was established to promote the work of Halonen in the field of sustainable development. Halonen was by and large very popular during her presidency, enjoying high levels of trust among the citizens. This is not surprising, as the Finnish presidents consistently enjoy stronger support than prime ministers or other politicians. However, while some prefer to remember Halonen through her interest in social causes and her global activism, others perhaps remember mainly her power struggles with the government – conflicts which she was destined to lose. In a way these intra-executive conflicts were inevitable and would most likely have taken place irrespective of who was the president. Also the president’s appointment powers were further reduced in 2012 – a change motivated no doubt by the fact that Halonen several times vetoed government’s proposals, appointing instead persons of her own choice to leading civil service positions. Most significantly, the president no longer appoints permanent secretaries who are the leading civil servants in the ministries. Through her active use of powers vested in the presidency, Halonen thus contributed to the further parliamentarization of Finnish politics. Halonen lives in Helsinki with her husband, Pertti Arajärvi. More information on her past and current activities is available at https://presidenthalonen.fi/en/. This entry was posted in Finland, Presidential Profile and tagged Finland, Tarja Halonen on May 1, 2017 by Tapio Raunio. As President of the Republic of the Marshall Islands, Dr Hilda Heine is the first woman to head an independent Pacific Islands state. She is one of only three women in the 33 member Nitijela (parliament). In the Marshalls, the President is elected by the members of the Nitijela in a way similar to the Westminster model of choosing a Prime Minister. Dr Heine became President in January 2016 with the support of 24 senators, including two of her own cousins. In a small country such as the Marshall Islands (pop. 53,000 in 2011), family ties are central to processes of being elected and forming government. Dr Heine’s own brother, the late Carl Heine, was politically active and served multiple terms in the Nitijela himself. The Heine family are descended from missionaries and have a strong commitment to education. Hilda Heine was the first and only Marshallese to be awarded a Doctorate in Education. She has had a distinguished career in education, working for the Pacific Resources for Education and Learning (PREL) program at the University of Hawai’Ii, and serving as a classroom teacher, President of the College of the Marshall Islands, Secretary of Education and Minster of Education in the Marshall Islands. Dr Heine’s educational attainments and management experience mean that she is held in high regard as a senior leader of the country, even though she lacks the chiefly lineage that has typified most Marshallese presidents. As President, Hilda Heine is admired for her consultative and inclusive leadership and her ability to make decisions and see them through to implementation. In her fifteen months in office, she has revisited a number of long term national challenges, including climate change, the legacy of ill-health and environmental contamination left by American nuclear testing and ongoing issues of poverty, economic development and emigration to the United States. In a region characterised by low numbers of women in politics, Dr Heine’s election is something of a watershed. In many ways, she is an exceptional individual: highly educated, having an impressive record of professional experience, and coming from a politically engaged family. These qualities will be difficult to match for other women (or men) seeking to run for office, although they do reflect the qualities of most successful politicians in the Pacific (Corbett and Liki 2015). Despite, Dr Heine’s exceptional qualities, several factors within the Marshall Islands context make it a place where we should not be surprised to see women in leadership. Traditionally, Marshallese society had a high view of women, especially as land owners, and today the female chiefly office of leroij is maintained alongside the male iroij. This traditional leadership appears to have translated well into modern systems. Many senior public servants are women, including nearly half of the departmental Secretaries. There is a strong contemporary women’s movement in the Marshall Islands. Along with other women, Dr Heine founded Women United Together Marshall Islands (WUTMI), a vibrant and well-established women’s NGO that runs a range of programs designed “to advance the causes and improve the lives of Marshallese women and their families” (www.wutmi.com). Over many years, WUTMI has provided an organisational structure that has allowed women to make common cause and articulate their needs and concerns in the public domain, often drawing on traditional sayings about the role of women. While not directly involved in campaigning for women in politics, these processes have legitimised Marshallese women’s leadership and paved the way for the success of Dr Heine and other women politicians. Dr John Cox is a Research Fellow with the Institute of Human Security and Social Change at La Trobe University in Melbourne, Australia. This entry was posted in Pacific Islands, Presidential Profile, The Marshall Islands and tagged Hilda Heine, The Marshall Islands on April 28, 2017 by Jack Corbett. Any potential candidate considering whether to seriously challenge the current office-holder Sauli Niinistö (born 1948) in the next Finnish presidential elections scheduled for January 2018 must be having second thoughts. Niinistö, elected to the post in 2012 with a comfortable margin as the candidate of the conservative National Coalition party, is yet to announce his plans, but should he decide to run his chances of re-election are very high indeed. Enjoying popularity ratings normally achieved by leaders in North Korea and other non-democratic regimes, it appears Niinistö can do nothing wrong. Following on from his 2006 campaign, when he advertised himself as the ‘president of the working class’ and reached the second round of the presidential elections only to lose narrowly to the incumbent social democrat Tarja Halonen, Niinistö has very much sought to distance himself from his conservative party-political background. He has repeatedly emphasized that no one should be left behind, and that the well-being of the country depends on unity and the will to act together. Whether this discourse has any effect is not known as the president no longer enjoys any legislative powers in domestic policy. However, Niinistö has given generously to various charitable causes and has consistently reminded that politicians and other elites should lead by example. When he was the speaker of the Finnish parliament, Niinistö demanded that MPs travel in second class and stay in standard hotels, a policy that attracted widespread criticism among the deputies. The remaining powers of the president are in the areas of foreign and security policy. Considering that Finland shares a long border with Russia, foreign and security policy is always a salient issue in Finland. People appreciate solid leadership in external affairs and by all accounts Niinistö has met such expectations. While the government is alone responsible for EU matters, foreign policy leadership is shared between the president and the government. Before his presidency Niinistö was critical of moves to further reduce the prerogatives of the president, and since elected he has certainly shown activism in foreign affairs. Here Niinistö’s leadership has been facilitated by developments in neighbouring Russia, whose aggressive foreign policy has created unwelcome tensions in eastern and northern Europe. During recent years Finland has maintained active bilateral relations with Russia, with regular meetings between presidents Putin and Niinistö in a central role in this dialogue. Niinistö has also benefited from the fact that the current prime minister, Juha Sipilä of the Centre Party, is clearly preoccupied with revitalizing domestic economy, leaving thus foreign affairs other than those handled via the EU more to Niinistö. Finland had three consecutive social democratic presidents between 1982 and 2012, and hence Niinistö is the first right-wing head of state in a long while. Niinistö has shared power with cabinets led by the National Coalition and the Centre Party, but he is also used to working with the political left. He served as the minister of finance in the five-party ‘rainbow’ government led by social democratic prime minister Paavo Lipponen from 1996 to 2003 (he was first the minister of justice for a brief spell from 1995 to 1996). During that time he developed an image as a man keeping the purse strings tight. Niinistö was simultaneously also the leader of the National Coalition, a position he served from 1994 to 2001. Very popular inside his party, he nonetheless received criticism for trusting only a close group of friends and not paying sufficient attention to the views of the party members. Between 2003 and 2007 Niinistö worked as the Vice President of the European Investment Bank and from 2007 to 2011 as the speaker of the Finnish parliament. With a degree in law from the University of Turku, Niinistö worked as a lawyer in his home town of Salo before elected to the parliament in 1987. In the 1995, 1999 and 2007 parliamentary elections he was the vote king of the elections, receiving the highest number of votes of all the candidates (in the Finnish parliamentary elections voters choose between individual candidates). His vote total from 2007, 60 563, is the record in Finnish parliamentary elections. He is married to Jenni Haukio, who is 29 years younger than Niinistö. The couple has no children, but Niinistö has two adult sons from his previous marriage. This entry was posted in Finland, Presidential Profile and tagged Finland on February 6, 2017 by Tapio Raunio. Only one year in office and Tanzania’s new president, John Pombe Magufuli, has thoroughly divided opinions. To some, he is mchapakazi (a workhorse), tingatinga (a bulldozer), an anti-corruption crusader with a vision of how to propel Tanzania to middle-income status. To others, he is a “petty dictator”, an uncompromising taskmaster bent on quashing opposition parties and curbing civil liberties in the interests of “peace” and “development”. Whichever side you fall on, it is undeniable that Magufuli’s presidency has sent shockwaves through Tanzania’s political system. Whether he will achieve the ambitious change he desires, rooting out entrenched politico-business networks and setting a path towards industrial transformation, is another matter. But whatever the outcome, his disruptive politics are a story in their own right, which begins with his improbable rise to the top. In 1985, when Tanzania’s first President Julius Nyerere retired from office, the long-ruling Chama Cha Mapinduzi (CCM) instituted a two-term limit, ensuring a transfer of power from one president to the next every 10 years. Since then, CCM’s presidential nominations have become increasingly competitive. Ahead of the 2015 general elections, a record 42 presidential aspirants entered the race to become the official nominee. This competition is largely the result of growing factionalism, which reached a new high in 2015. The main cleavage was between the outgoing President Jakaya Kikwete and his former Prime Minister turned rival, Edward Lowassa. Kikwete threw his weight behind several candidates, his top preference being his Minister of Foreign Affairs, Bernard Membe. Lowassa, meanwhile, mobilized a carefully cultivated network of supporters to rally behind his own bid for the nomination. Among the remaining presidential aspirants, many were rumoured to be “spoilers” fronted by one side or the other to split the vote in their favour. The uncertainty surrounding the nominations fuelled a wave of intense speculation. But amidst the many lists of supposed top contenders, one name barely got a mention. Magufuli kept a low profile through the nominations process. Although a minister for 20 years, he never held an official position within CCM and steered clear of factional politics. He had a reputation as clean politician who kept his head down and got the job done. As Minister of Works under Kikwete, he attracted some attention due to his road-building zeal. But even so, he continued to be seen primarily as an effective technocrat. In an ironic twist, the internal party divisions that Magufuli so scrupulously avoided ultimately helped catapult him to the top. President Kikwete manipulated the CCM nomination procedure, using the vetting powers of the party ethics committee to remove Lowassa’s name from the list of eligible aspirants. The CCM National Executive Committee, which contained a majority of Lowassa supporters, then retaliated by voting out Kikwete’s two preferred aspirants from a list of five pre-vetted candidates. The National Congress then voted overwhelmingly for Magufuli. The other two candidates, both women, were presumably seen to pose too great an electoral risk. At the start of presidential campaigns, Magufuli faced several challenges. The CCM brand had lost some of its lustre during the Kikwete years, in part due to repeated corruption scandals. At the same time, the opposition invested considerably in extending its organizational reach countrywide and, after uniting in a four-party coalition, seemed poised to make record electoral gains. As a candidate, Magufuli was also weak. He had no support base of his own so relied on a campaign taskforce composed largely of close Kikwete allies. Moreover, he had to square off against Lowassa, who defected and became the candidate for the opposition coalition. Many Lowassa supporters left CCM with him while those who stayed were accused of backing his candidacy. Magufuli responded by turning his reputation as a low-profile technocrat to his advantage. His stump speech promised an end to corruption and a renewed dedication to hard work. He contrasted his own integrity with Lowassa’s alleged history of backroom deals. In positioning himself as the anti-corruption candidate, he also distanced himself from business-as-usual under Kikwete, upon whose support he nevertheless continued to rely. He promised to serve the wananchi (ordinary citizens) and referred to former President Nyerere’s fiercely egalitarian politics as his guide. Magufuli won the 2015 election with 58 percent of the vote, the lowest ever for a CCM presidential candidate. He immediately set about implementing a populist agenda. He declared his government would slash all wasteful expenditure and followed up by ordering an end to “unnecessary foreign travels” for government officials. He then announced that the $150m saved on air travel costs would be reinvested in road construction. A series of similar gestures then followed. Weeding out corruption, or “bursting boils” to use Magufuli’s phrase, emerged as an equally important part of the campaign against waste. Weeks into his presidency, Magufuli launched a crackdown on “big businessmen”, directing Tanzania Revenue Authority Commissioner General, Rishad Bade, to target tax avoiders. His Prime Minister, Kassim Majaliwa, later showed up at the TRA offices unexpected and suspended Bade while investigations were still pending into the disappearance of 349 shipping containers from TRA’s records. Again, these early moves were quickly followed by more suspensions, firings and threats from State House. Magufli indicated his overriding aim was to eliminate corruption and ensure economic transformation through a soon to be revealed development plan. His shock-and-awe approach was also politically strategic, and this for two reasons. First, it generated a wave of popular support. It also helped pre-empt any potential opposition from within CCM and government. Magufuli’s own political base was narrow at best, yet his actions threatened the entrenched patterns of rent-seeking that had come to define CCM politics. Amongst those allegedly opposed to the new President’s approach was his predecessor and erstwhile mentor, Kikwete. By acting swiftly, though, Magufuli could at least temporarily cow otherwise vocal opponents into silence. He was, arguably, further aided by the temporary confusion Lowassa’s defection caused within CCM. One of the party’s strongest factions was now in disarray and, without its leader, appeared suddenly powerless. But those who had something to fear as a result of Magufuli anti-corruption crusade were not the only ones worried about the President’s new style. After taking office, Magufuli quickly imposed heavy restrictions on opposition parties. The first, and most flagrant, breach of trust between President Magufuli and the opposition, particularly the Civic United Front (CUF) party, came after the chairman of the Zanzibar Electoral Commission annulled the 2015 elections for the Zanzibari President and House of Representatives. While this initial decision had nothing to do with Magufuli, his subsequent unwillingness to intervene was heavily criticized by opposition actors. The elections were re-run in March 2016 amidst an opposition boycott, thus leading to an overwhelming victory for the long-time ruling party Chama Cha Mapinduzi (CCM). What’s more, starting in September, the CCM government has exacerbated divisions within CUF after the Registrar of Political Parties repeatedly favoured one of two rival factions. Tensions, meanwhile, have also grown between Magufuli and CHADEMA, Tanzania’s largest opposition party and the dominant player on the mainland. Through the Deputy Speaker, a lawyer appointed to Parliament by Magufuli, the President has seemingly tried to stifle opposition in Parliament. He has also effectively banned all opposition meetings outside of parliament, even internal party meetings. Individual politicians meanwhile, have repeatedly been drawn to court with some languishing for months in jail. Opposition parties are not the only ones affected by the new strong-arm politics. Several Whatsapp users have been charged with insulting the President under the Cyber Crimes Act, a piece of legislation passed under Kikwete. A newly enacted Media Services Bill also promises a fresh set of restrictions on free expression while journalists have also found themselves under pressure. Despite some impressive gains in revenue collection and cost cutting efforts, Magufuli’s economic management has raised serious concerns. His efforts to centralize control over wealth creation and to root out corruption and waste have, in many instances, had negative economic ramifications. Some of these were perhaps unavoidable. Magufuli’s order that all government meetings be held in public offices, and not luxury hotels as was the norm, has hit the hospitality sector hard. But pouring government funds into rented conference space was, to begin with, perhaps not the best form of economic stimulus. Other negative side-effects are, however, down to poorly conceived policy decisions. For instance, efforts to levy VAT and crack down on smuggling has led to a 800,000-tonne drop in cargo volumes going through Dar es Salaam port. Whilst Magufuli’s push for rapid industrial expansion will depend on foreign investment, he has done little to boost investor confidence. In March, Magufuli declared he wanted a stop to the practice of ‘hiring generators’, admittedly a costly means of power generation. The Tanzania Electric Supply Company (Tanesco) responded by denying having signed a contract with an American company, Symbion, responsible for managing a gas-fired power plant in Dar es Salaam. In January of this year, while addressing a crowd at a rally, Magufuli announced that he would cancel the operating license of a foreign mining company that had already invested $26m prospecting for nickel. This came after local officials had advised the President that the best location to develop a water project was within the area covered by the company’s license. Perhaps most worrying, there is mounting concern of food shortages and possible famine due to drought. Magufuli has, however, refused to declare a famine, alleging that the supposed threat is a media and opposition fabrication. With the next elections due in 2020, it is still early days for the Magufuli presidency. And yet his time in office has already caused significant upheaval. Given the severe restrictions on opposition parties, it is unclear whether they can bounce back and build on their 2015 electoral gains. Recent by-election results suggest they are in a weak position, as is to be expected. Regarding Magufuli’s economic legacy, it is still too early to tell. Data on Tanzania’s macro-economic performance is mixed. Signs of a significant dip in growth rates may be attributable to the negative effects of drought on agricultural production while other sectors, like construction, are expanding, possibly thanks to the President’s commitment to infrastructural development. The success of Magufuli’s ambitious industrialization agenda will, nevertheless, require more than a fiscal stimulus. Finally, there is the crucial question of Magufuli’s support within CCM. There are persistent rumours of tensions between Kikwete and Magufuli. At the same time, some argue that Magufuli has curbed his anti-corruption zeal, treading carefully around issues that may implicate leading CCM figures, including his predecessor. An outsider at the start, Magufuli is still walking a political tightrope. While his desire to re-engineer a corrupt political settlement in Tanzania is laudable, success is far from assured. His methods too—a mix of repression and intimidation—leave much to be desired. As with much else in the world of 2017, these remain interesting times. This entry was posted in Africa, Presidential Profile, Tanzania and tagged John Pombe Magufuli, president, presidential profile on January 30, 2017 by Michaela Collord. Mário Soares, who has died aged 92, was widely regarded as the father of Portugal’s modern democracy. Following his death on 7 January the government decreed three days of national mourning. Soares was the first civilian to head an elected government in more than half a century and served as the president of Portugal between 1986 and 1996. The former Socialist party leader played a crucial role in stabilizing the country after the 1974 Carnation revolution that overthrew four decades of dictatorship. He was arrested a dozen times, tortured and was living in forced exile, amongst others, in France and on the island colony of Sao Tome off the West African coast. In 1973 he founded the Socialist party (PS), which he led until 1985. After the 1974 coup, Soares became minister in a provisional government led by moderate factions of the Portuguese military. As minister for overseas negotiations he was responsible for initiating the policy under which Portugal divested itself of its colonies. His role in granting rapid independence to Portugal’s colonies made him widely respected in Africa, but earned the lasting enmity of many of the hundreds-of-thousands of Portuguese settlers who fled from Angola and the other territories. Soares between two key actors in Angola’s decolonization process, José Eduardo dos Santos of the MPLA and Jonas Savimbi, leader of UNITA. His greatest achievement was, arguably, to prevent the communists from overtaking the country in the turbulent years following the Carnation revolution. In November 1975 Portuguese communists organised a coup against the governing bodies but failed. Supported by Soares, pro-democracy and moderate General António Ramalho Eanes then carried out a counter coup, and thereby re-established the democratic process. The close relationship between both men resurfaced during the 1976 elections. Soares supported Eanes in his bid for presidency and the latter asked Soares to head a minority government. Soares resigned in December 1977 following the government’s defeat of a confidence motion. He was asked to form a new government, this time with the rightwing Democratic Social Centre (CDS). Yet, the gap in outlook between the two parties soon made the arrangement unworkable and in July 1978 the CDS withdrew its support. Soares did not resign immediately and was sacked by President Eanes, a move that caused ill-feeling between the two men for years afterwards. Soares resignation in 1978 marked the beginning of a less successful period in his political career. President Eanes appointed three technocratic cabinets in a row in the period 1978-1979 (the cabinets Nobre da Costa, Mota Pinto and Pintasilgo). Furthermore, the centre-right wing parties succeeded in forming the Democratic Alliance (AD), which won the 1979 and 1980 election. In 1981, Soares also had to endure intense criticism from leftwingers in his party for backing the AD’s proposal to revise the revolutionary constitution, which would limit the power of the president. With the support of the PS, which gave the AD the required two-thirds majorities, constitutional amendments were passed in 1982. The PS returned to government in 1983 as part of a “Central Bloc” coalition with the Social Democrat Party (PSD). Barely two years later, Soares was again forced to resign after the new PSD leader Aníbal Cavaco Silva announced his party’s withdrawal from the government. The early 1985 elections resulted in a staggering loss for the PS and, to Soares’ great frustration, it was the PSD leader who took Portugal into the EU the following year. Soares signs the EU membership treaty in 1985. After his removal from government, Soares decided to run for the presidency in 1986. He won and remained president until 1996. Throughout the whole period in office, President Soares faced political opponent and PM Cavaco Silva whose cabinet enjoyed the support of a parliamentary majority. Tensions increased between both leaders: while the President used the veto power seven times during his first term in office (1986-1991) he vetoed thirty laws during his second term (1991-1996). Soares served as a member of the European parliament from 1999 until 2004, and made an unsuccessful bid for a further term as president of Portugal in 2006. His wife, actor, teacher and political activist Maria de Jesus Simões Barroso, whom he married in prison in 1949, died in 2015. He is survived by their daughter, Isabel, and son João who served as mayor of Lisbon and minister of culture. The Democratic Alliance (AD) was composed of the Social Democratic Party (PSD), the Democratic and Social Centre (CDS), the People’s Monarchist Party (PPM), including also a group of dissidents of the right wing of the Socialist Party (PS) who were disappointed by the previous Soares government. This entry was posted in Europe, Portugal, Presidential Profile and tagged Mário Soares, presidential profile on January 26, 2017 by Lydia Beuman.